XR production is ramping up to 20 million units in October, DigiTimes sources said on Wednesday. Preorders are only slated to start on Oct. 19, but Apple typically needs one or two months to build launch inventory. In comparison, shipments of the XS Max are expected to hover around 4 to 5 million per month for some time, accounting for about 20 percent of overall production. Even before its announcement, multiple reports hinted that Apple was planning to favor XR shipments. The device is $749, which while more than the iPhone 8 cost at launch is still considerably cheaper than the $999 XS and the $1,099 XS Max. To achieve that price point the XR uses a single-lens camera, drops 3D Touch, and sports a 6.1-inch LCD instead of OLED. It does however share many features with the XS and XS Max, such as an A12 processor, an edge-to-edge screen, and a TrueDepth camera for Face ID. 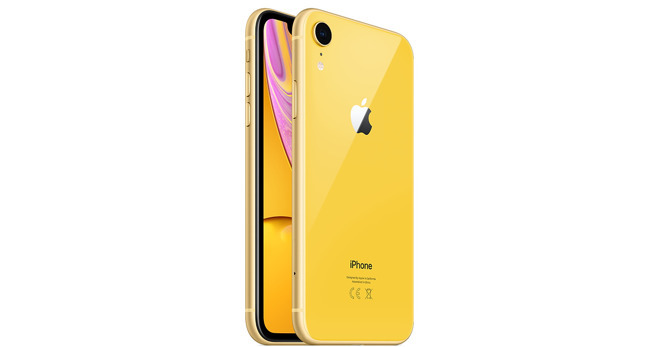 It even comes in colors unavailable to XS buyers, such as yellow and (Product)Red. The DigiTimes sources suggested that the XR should "remain competitive" in China, despite being more expensive than other high-end phones in the country, as a result of being a dual-SIM device. Notably Chinese models will be "true" dual-SIM devices, while countries like the U.S. will wield an eSIM for secondary carriers.